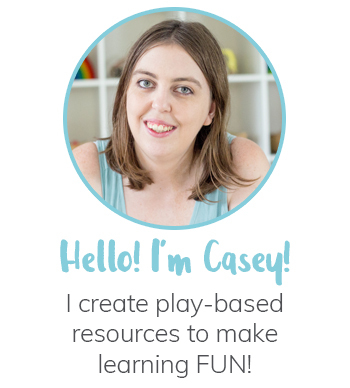 When you decide you want to get started with open-ended play, it can be a little overwhelming where to start! 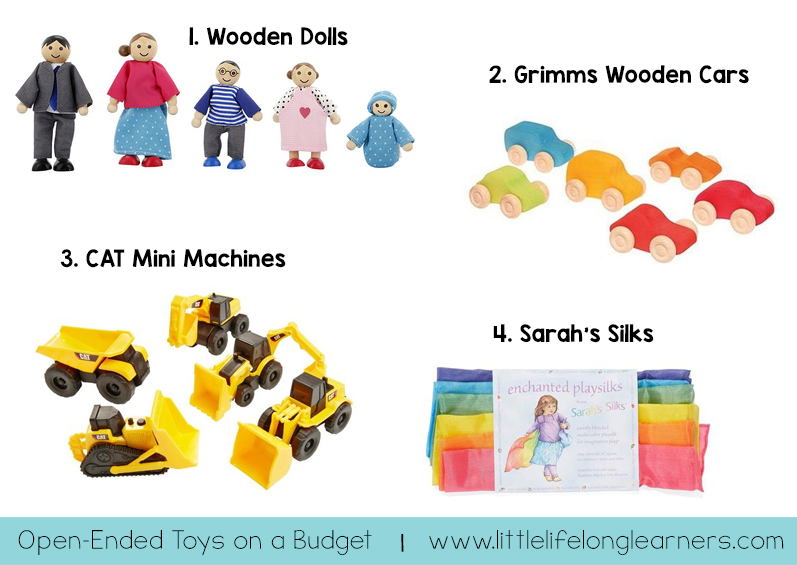 There are so many fantastic toys out there but many have a hefty price tag attached which sometimes just isn’t practical when you’re raising little ones, often on one income. 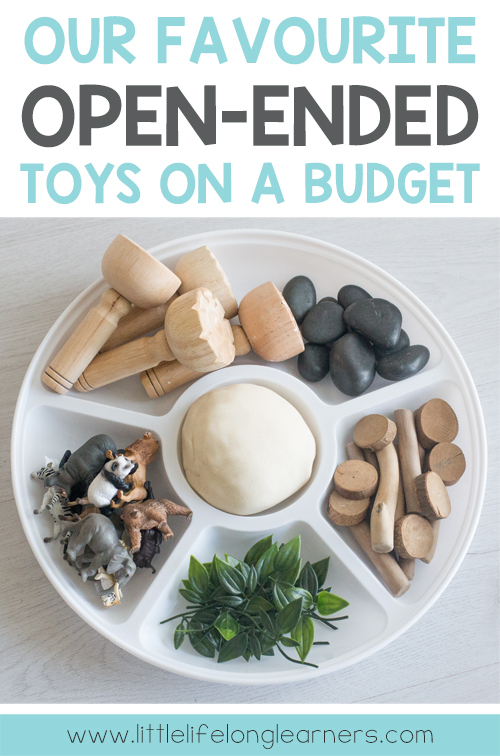 Today I’d like to share some of my favourite open-ended toys for when you’re on a budget! 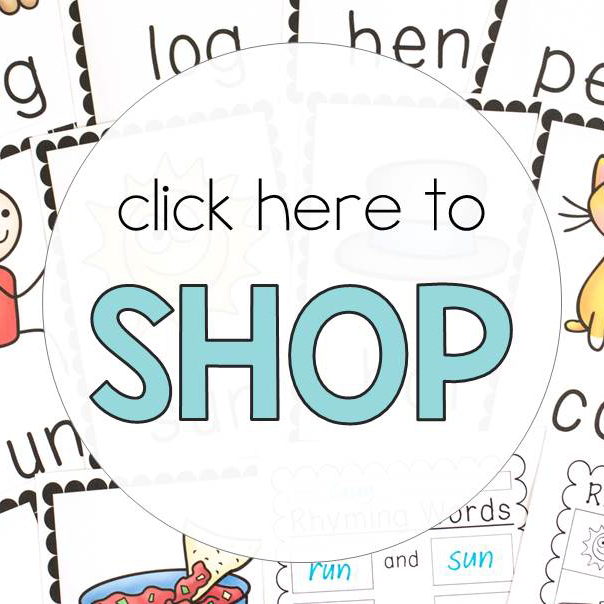 These toys and resources are all under $50 each and are perfect for suggesting to friends and families as gift ideas for birthday’s and Christmas too! If you’ve been following along for a while, you’ll probably know how much I love Schleich animals. But they can be a bit expensive especially if you’re just starting to build your open-ended toy stash! Below are some of my favourite animal figurine sets, all from Mini Zoo. These animals are a fantastic size and they’re very realistic! They live in our bathroom and the kids often use them for colour baths and even in the shower! Another favourite, these insects are HUGE and make a great addition to our small world collection. Our children love using them outside in the garden and inside with some loose parts. 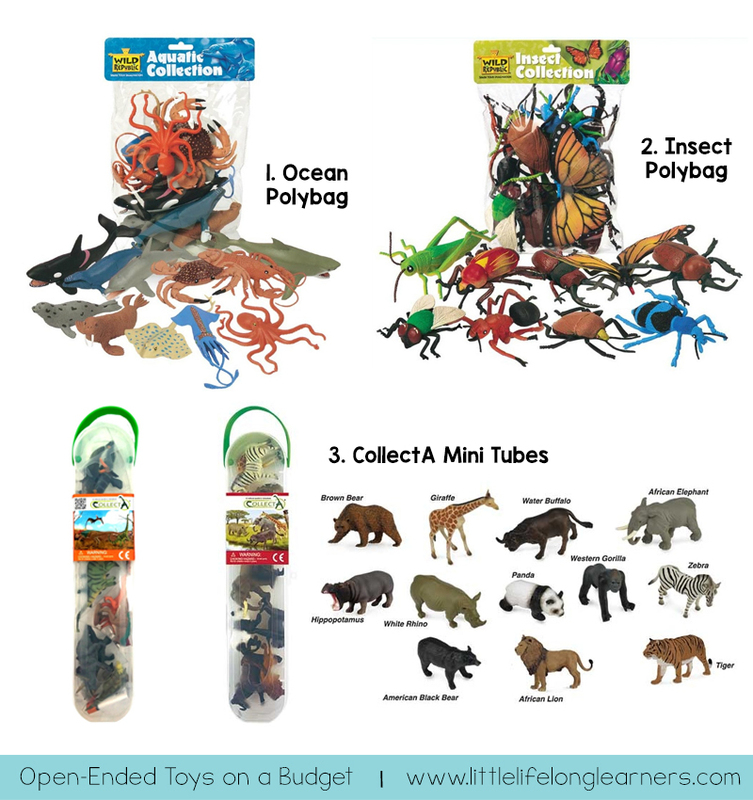 We love large animals for imaginative play, but these mini CollectA tubes are fantastic for small world play and play on the go! 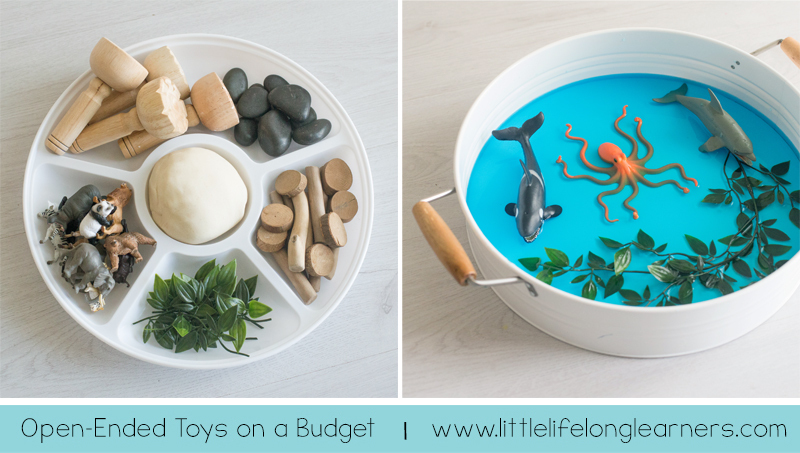 I’ll often pack some of ours up with some play dough and loose parts for when we’re eating out at restaurants with the kids and they’re always a hit! So far we have the dinosaur, ocean and wild animal tubes and I can’t believe how realistic they are! They are mini versions of the larger animals! 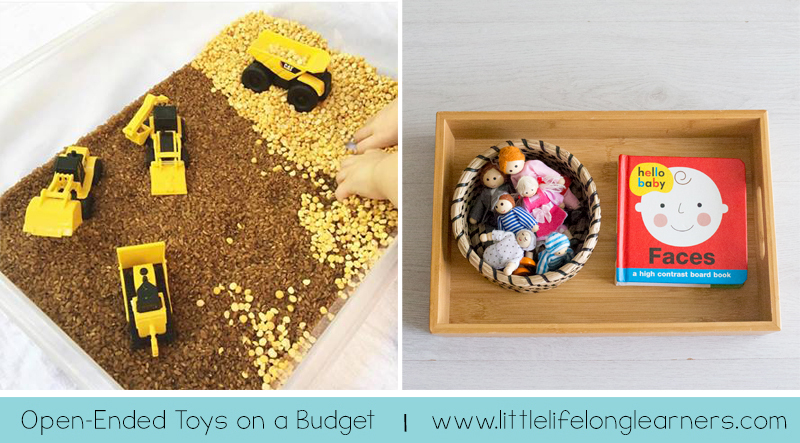 Loose parts are a fantastic addition to your open-ended play stash and many can even be collected from nature! I wanted to quickly explain that I feel spending a little extra on good quality toys is so worthwhile in the long run. While they can be an investment in the short term, many will last your children years and years before they are outgrown! This is why I am quite happy to spend the money on good quality, long-lasting wooden building blocks. However, sometimes it can be really tricky to find good quality building toys that don’t cost a fortune. While many of our sets are around the $100 mark, I’ve put together a list of some of our favourites that are $50 and under! These sound building blocks are a great starter pack for building, especially for younger children because they are quite large. The coloured blocks in the set all rattle when they are shaken as well! Before we got PlayMags, we started with the Kmart magnetic tiles! You cannot beat them on affordability and the quality is very durable as well. My 2 year old had these on his play shelves for 9 months and still played with them daily before we upgraded to PlayMags! Oh my goodness, I could write about these pebbles all day! They are the perfect open-ended material for so many different types of play. You can add them to small worlds or use them to develop fine motor skills as you build towers that are taller and taller! They are great for early measurement skills and they are just stunning quality! We have three different colours and I can’t wait to get the new purple set when they come back in stock! We love our rainbow house so much that we’re considering getting the natural version as well! These are great for small world play and make the perfect little colour sorting houses for our peg dolls as well. These sorting bowls are another fabulous open-ended material. We have used them for scooping and pouring activities with rainbow rice, as stages for our peg people to dance on, as colour sorting bowls and counting bowls…and so much more! They can be used for many different types of play and they also come in several different colour combinations too. 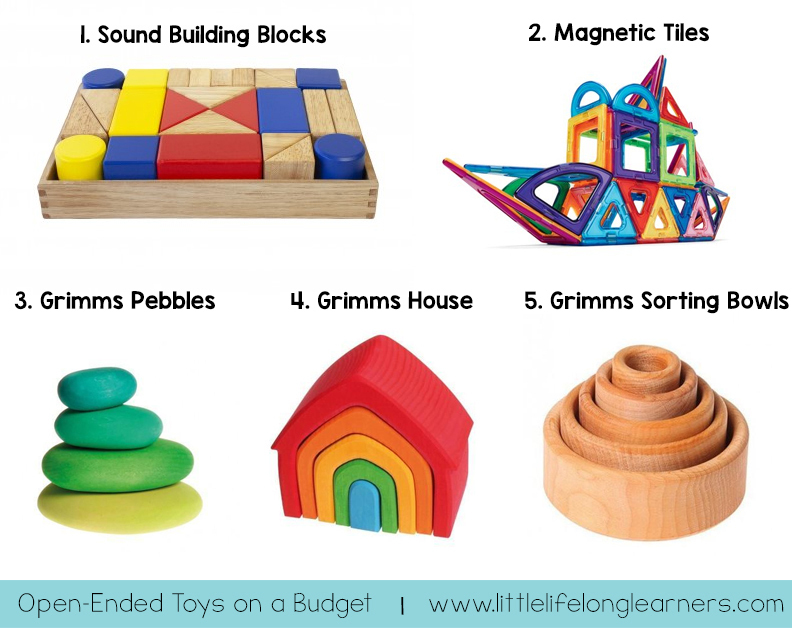 There are just a few more open-ended toys that we absolutely love in our house! So here are some of the extras that are really well loved by our children! We have a few different sets of these wooden family dolls and they are very popular! Not only are they really affordable, they make a great addition to any open-ended play space! We often add them to our toy rotation with some picture books about families! We have four of the Grimms cars and they are such a great addition to our play space! Our 2 year old loves using them with our Wobbel Board, racing them down to see which colour wins. These mini CAT vehicles are one of my must-have toys! 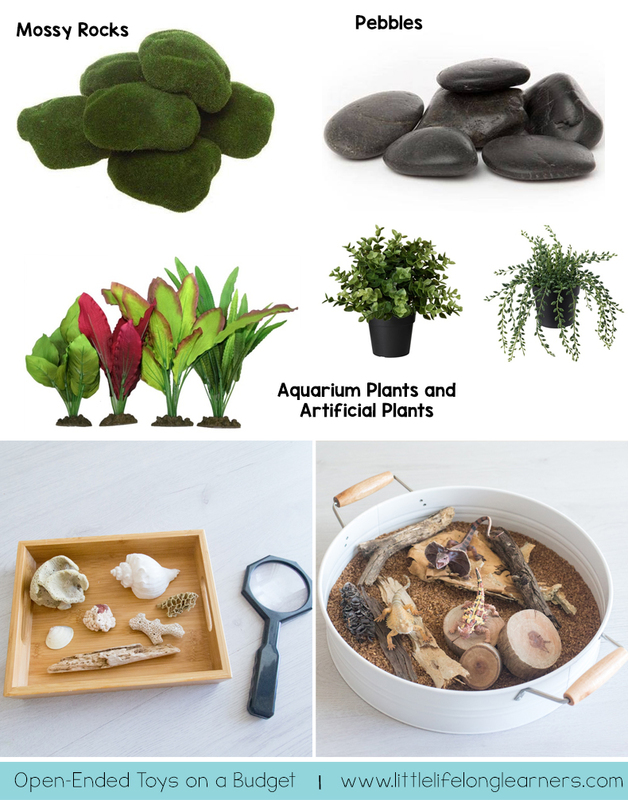 Not only are they SUPER affordable, they make an excellent addition to small worlds and sensory tubs! We actually have a couple of sets because they are so well loved! We have just ordered our first set of Sarah’s Silks and I can’t wait to add them to our play shelves. They will be perfect for our new baby to explore when she is a few months old. I also can’t wait to see how our older two children incorporate them into their play! So there you have it! 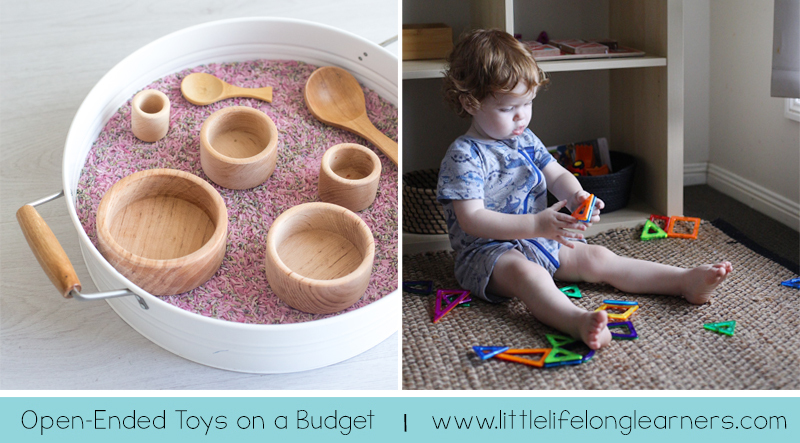 Our favourite toys and materials for open-ended play on a budget! I hope this post has given you a great place to start when building your open-ended toy collection! 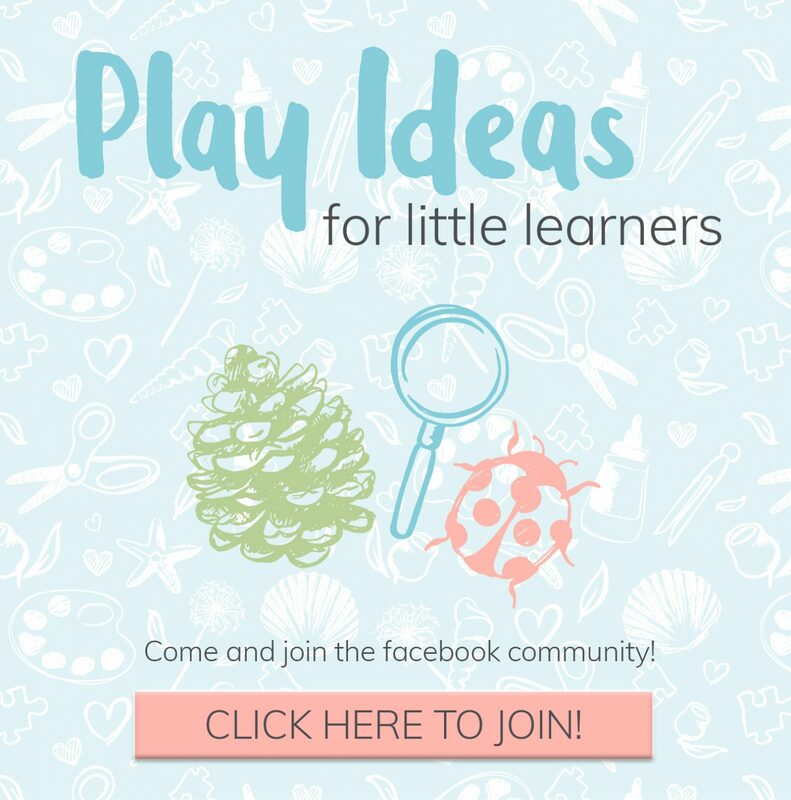 If you have any questions, please do pop them below or head on over to the Play Ideas for Little Learners facebook community! Please note: This blog post is not sponsored. These are genuinely products that our family LOVE! Some links may be affiliate links meaning I will earn a small commission from any purchases made through those links. This does not affect your buying experience but helps to fund the running costs of my website!